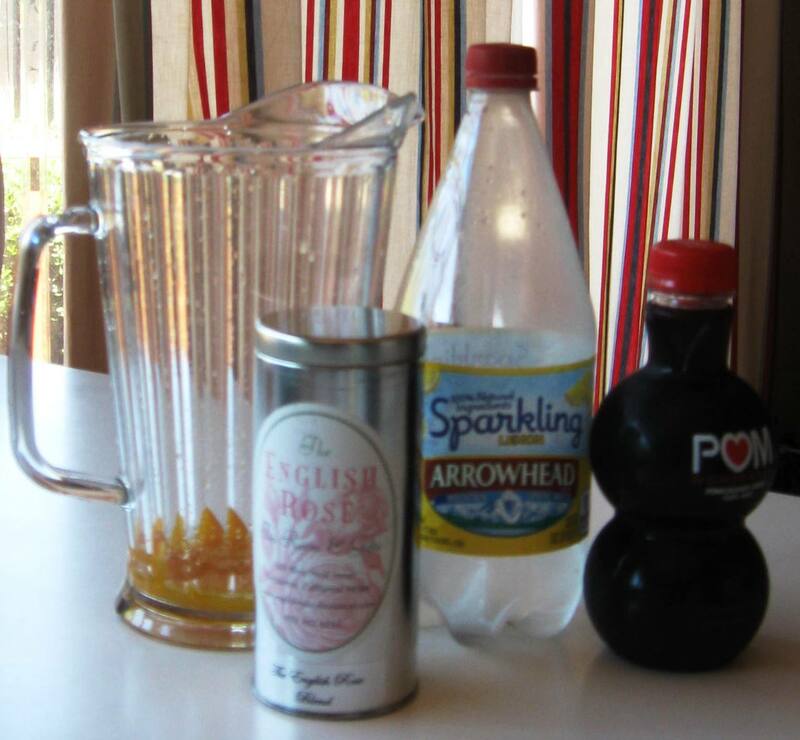 Bruce Cost Fresh Ginger Jasmine Tea Ginger Ale is a tasty variation on traditional ginger ale, not only because it has lots of ginger flavor – unlike more familiar ginger ales – but also because it is infused with jasmine green tea! Bruce Cost is one of the vendors who attend the San Francisco International Tea Festival every year, and I first tasted their Jasmine Tea Ginger Ale there a few years ago. The ginger ale comes in 12-oz. glass bottles with a sepia-tinged ivory paper label and black lettering, which reads: “Whole leaf tea, floral and earthy with tannins”, “Separation is natural. Shake gently.” “Bruce Cost Ginger Ale Unfiltered”, “Made with 100% fresh ginger (no extracts) & pure cane sugar”, “Jasmine Tea”, “Proud descendent of the original soft drink, Bruce Cost Ginger Ale is delicious, sparkling and rich with whole ginger, long enjoyed for digestive comfort”. It contains 160 calories per serving (bottle), and the ingredients are: carbonated water, pure cane sugar, 100% fresh ginger, premium brewed jasmine green tea with filtered water, and citric acid. Some vendors also sell the Original Ginger Ale in cans, as well. 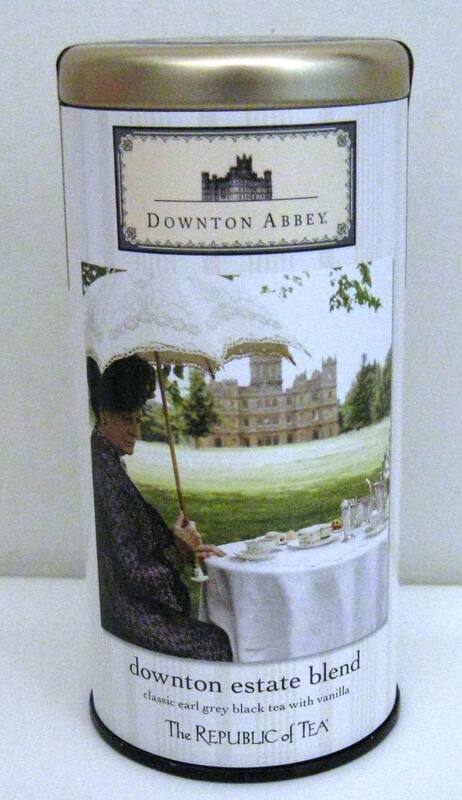 It sells for about $2 per bottle. San Jose residents have the opportunity to see, among the other usual holiday movie offerings, a biographical sketch of the author, P. L. Travers, creator of the beloved character “Mary Poppins”, immortalized by Walt Disney. Starring Emma Thompson as P.L. 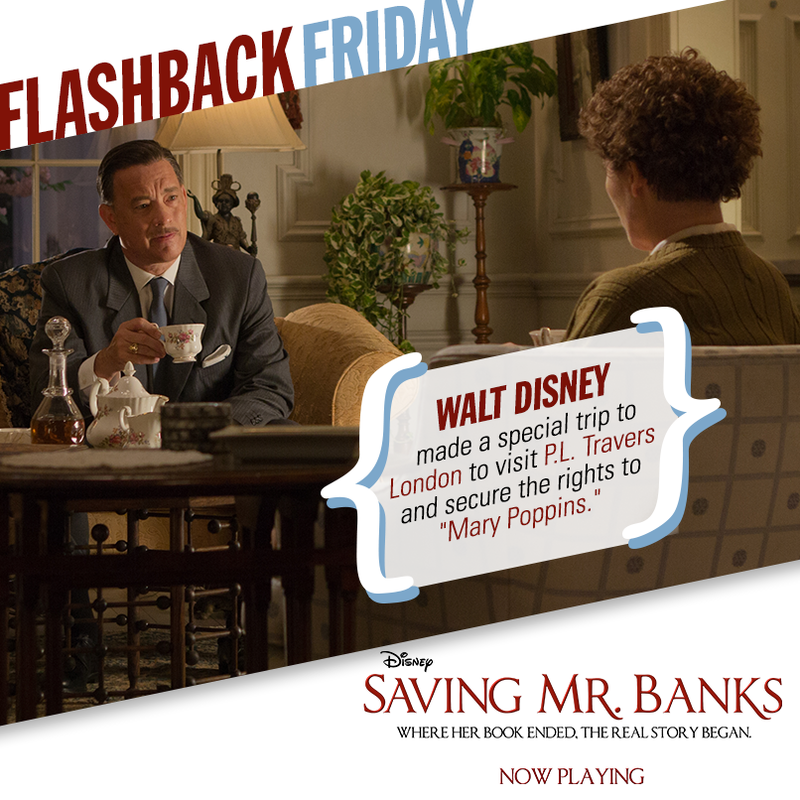 Travers and Tom Hanks as Walt Disney, _Saving Mr. Banks_ is the story of the author’s deep personal love for her characters, and her fight to keep them from being too “Disney-fied” in Hollywood. Clockwork Alchemy, the Steampunk convention associated with FanimeCon, has returned to San Jose’s DoubleTree Hotel for the second year. 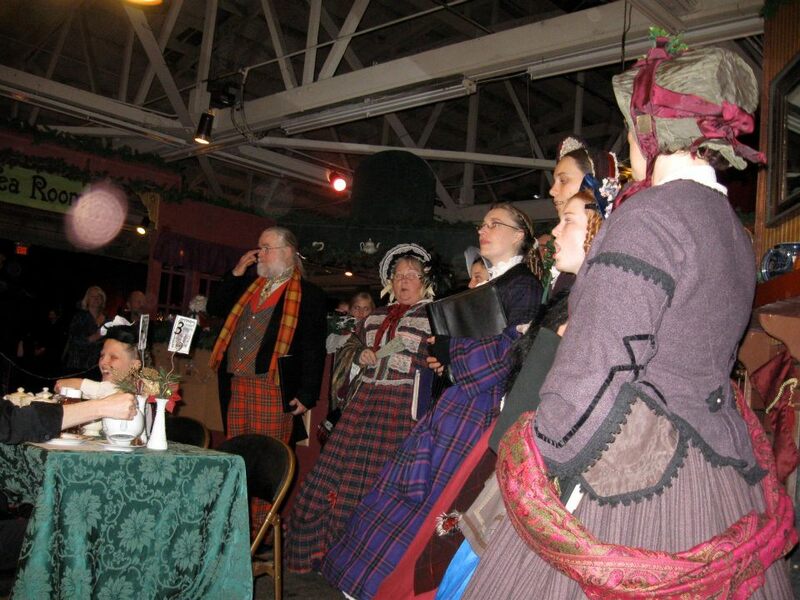 Featuring dance, art, crafts, writing, music, fashion and food within the Steampunk aesthetic, because the genre is tied to Victoriana, tea will always be available whenever convention attendees want a cuppa. 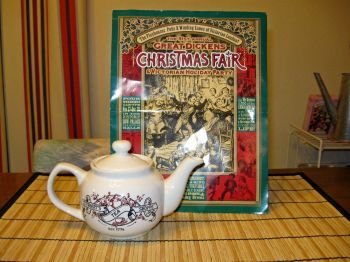 Not only will the DoubleTree Hotel’s restaurant offer its usual hot tea on the menu, but the convention is setting up its own tea room, called The Alchemist’s Tea Parlour, where guests can get not only a nice hot cup of tea and a biscuit, but even have their fortunes read in their tea leaves. 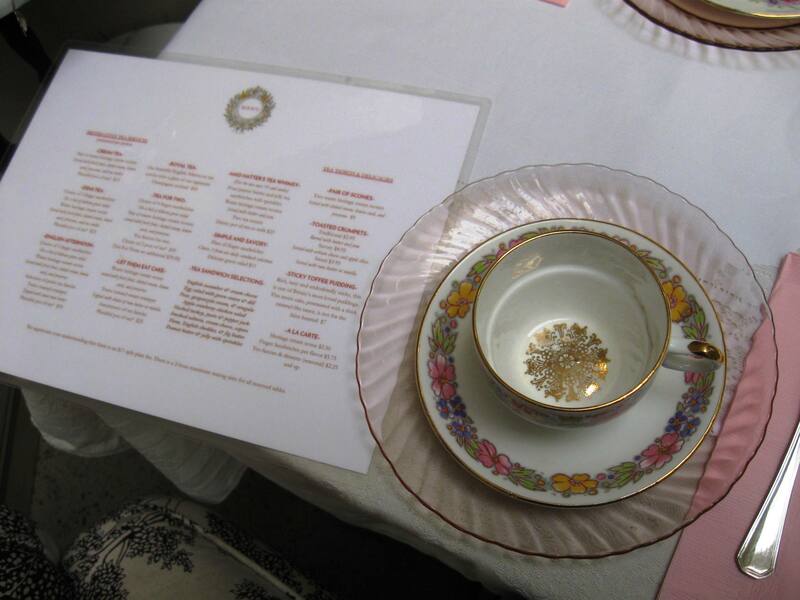 The Tea Parlour will be open from Friday through Sunday from 11 a.m. to 6 p.m. in the Riesling Room. 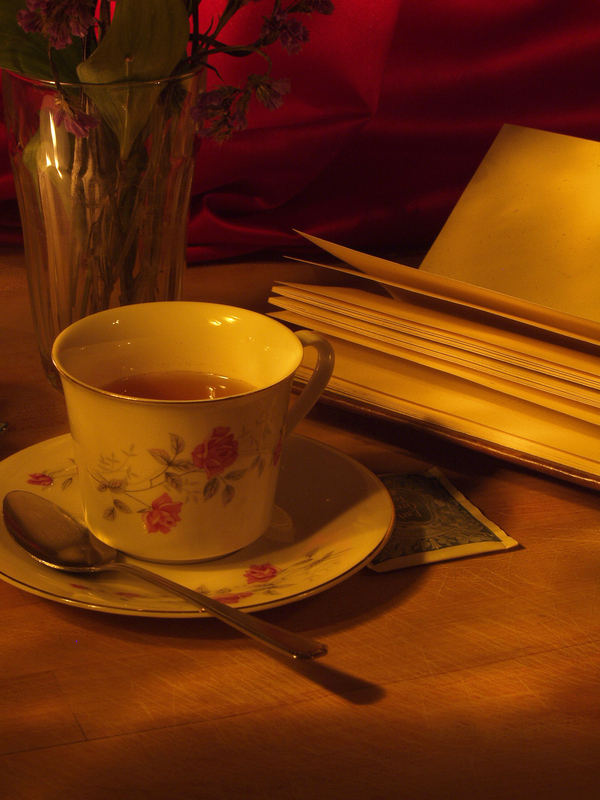 Other occasions for tea include a writers’ gathering and reading, called “Tea and Trumpets”, on Friday from 1 to 2 p.m. in the Monterey room. On Monday at 11 a.m., there will be an interesting class called “Stocking the Steampunk Pantry, Equipping a Steampunk Kitchen, & Setting a Steampunk Table” in the San Carlos Room. The class will explore the relationship between the Industrial Revolution and agriculture in changing how people got the food they ate and what was available to various locations. Class attendees will use this information to imagine the tools, gadgets, and ingredients appropriate to a Steampunk kitchen. There might also be an episode of “Tea Dueling” in and among the other activities! Admission, or Membership, to Clockwork Alchemy costs $65 for the weekend (and includes free admission to FanimeCon, also in San Jose this weekend), but you can also buy a Membership for each day on its own. Just go to the At-Con Registration line in the Bayshore room at the DoubleTree Hotel; Friday, the opening day, costs $35 to attend, Saturday and Sunday each cost $40, and Monday is $30 for a general admission Membership. Children are welcome to attend with an adult, and have a discounted rate. When do you get to see someone you know in a PBS documentary? This week, that’s when. 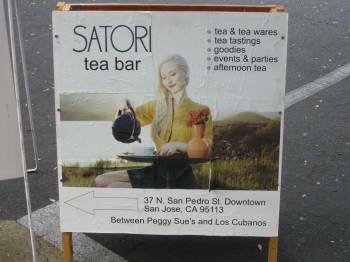 Victoria Boyert, owner of Satori Tea Bar in San Pedro Square, downtown San Jose, was chosen to represent the tea world on a once-in-a-lifetime trip to China last year, resulting in Tea Lands of China, which will air on local PBS stations this week. The documentary follows Boyert and Mark Rozell, a manager with Verve Coffee Roasters in Santa Cruz, on their journey to Hangzhou and Yunnan in China to learn about Longjing and Pu’erh teas. Longjing, better known by its English name, Dragonwell, is a type of green tea, and pu’erh is an aged green tea that is pressed into discs and stored in caves to develop its characteristic earthy flavor and aroma. 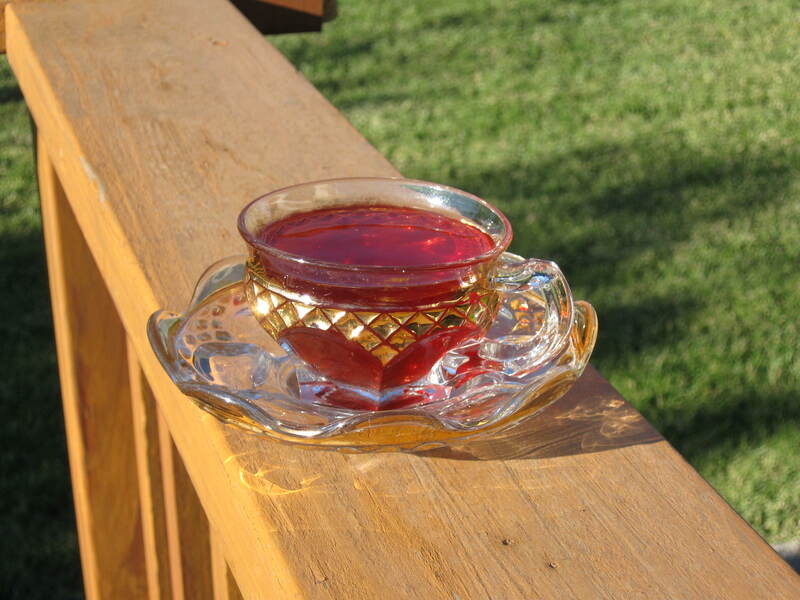 Boyer and Rozell learned how to pick, process, and brew these teas, tasted food made with tea, and met the people who have cultivated and processed these teas for generations. The one-hour long documentary will broadcast at 9 p.m. on Channel 200 in the South Bay, and PBS’s KRCB 22 in Sonoma County on Tuesday, May 7, and at 2 p.m. on KQED World on Saturday, May 11. Local public television stations may re-play the program repeatedly, so check your local listings, and the PBS website for re-play links. Keep your eyes on this blog, as well, for the results of a personal interview with Tori Boyert about her experiences!